What is Involved in Meniscus Repair? 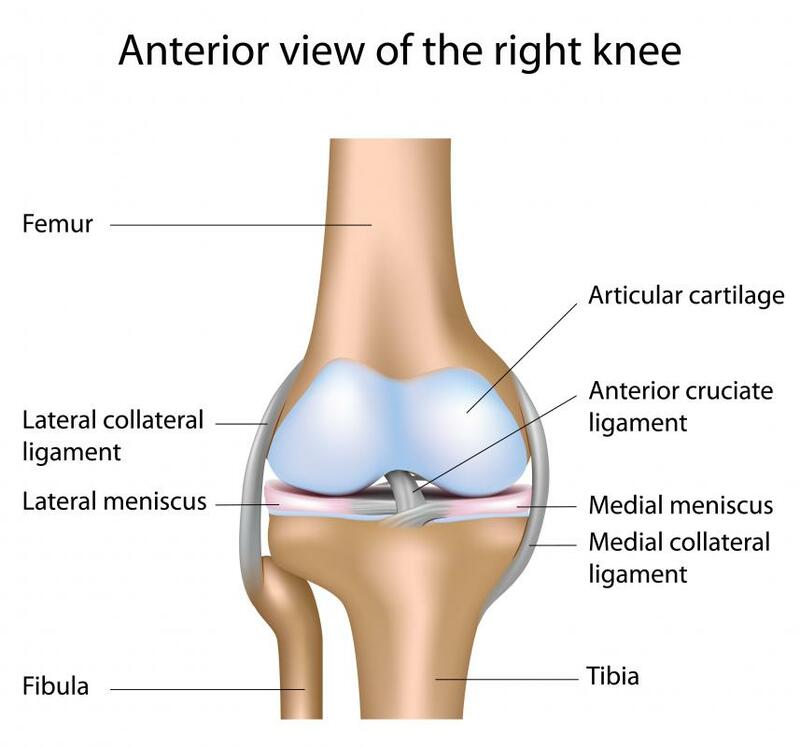 A diagram of the knee, showing the lateral and medial menisci. Physical therapy may be attempted to treat torn cartilage before resorting to a meniscus repair. 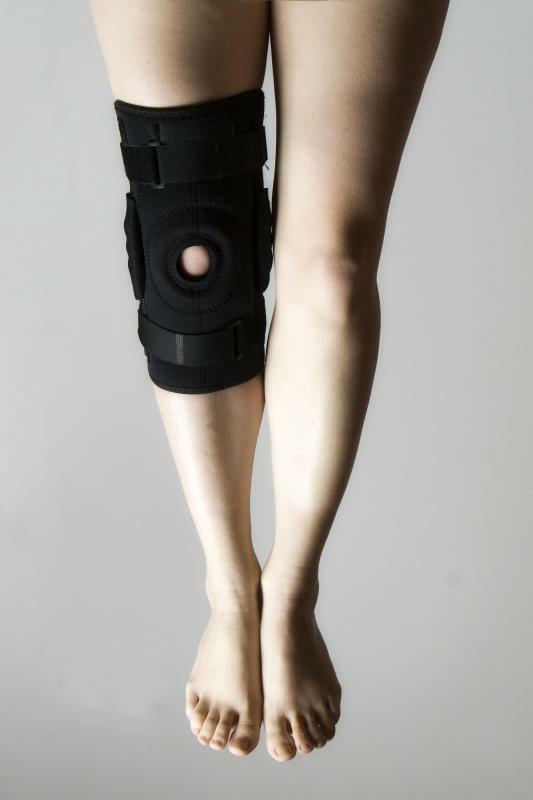 A person wearing a meniscus brace. Non-invasive therapy treatments are available for certain torn meniscus injuries. The meniscus is a cushioning, stabilizing section of cartilage that is found in a person’s knee. Sometimes this C-shaped cartilage can be torn, and treatment options may include physical therapy, medications for pain, injections of cortisone, and pain-relieving medication. When these treatment options don’t work or a tear is severe, doctors may opt to perform a meniscus repair, which is a type of surgery used to correct a torn meniscus. The elements involved in meniscus repair depend on the particular repair technique, but may involve sewing the torn pieces back together, removing it partially or completely or replacing it with a donor meniscus. There are two basic types of meniscus surgery, repair and removal. The first type involves sewing the torn pieces of the meniscus together. This treatment is usually used when the meniscus tear affects the outer edge of meniscus. In such a case, a doctor typically uses dissolvable sutures to sew the separate parts of the meniscus together. Sometimes the inner portion of the meniscus is torn, and a surgeon may determine that repair is not a good option. This is because blood supply to the inner portion of the meniscus is poor and may not facilitate healing after surgery. In such a case, surgeons may decide to perform a partial meniscectomy, which involves removing the torn portion of the cartilage and leaving the rest in place. Often, a surgeon also shaves the remaining meniscus in order to make its torn edge smoother. In some cases, both the outer and inner portion of the meniscus are involved in meniscus repair. For example, a meniscus tear may extend from the outer edge of the meniscus into its inner portion. Sometimes this type of injury does have enough access to blood to heal well, even though the inner part of the meniscus is affected. In such a case, the surgeon may decide to remove the tear or simply repair it. In the past, total meniscus removal surgery may have been seen as more advantageous than the techniques involved in meniscus repair or partial meniscus removal. In fact, it did provide some immediate relief from the symptoms of a meniscus injury. In time, however, it often caused more problems. Eventually, the cartilage located on the ends of the bones started to wear away faster than was expected, deteriorating so much that the bones started to rub together. This may have happened because the knee lost the cushioning and stabilizing action of the meniscus. As such, repair, partial meniscus removal, and even meniscus replacement surgery are often seen as more desirable options. How do I Choose the Best Torn Meniscus Treatment? What are the Best Ways to Speed up a Meniscus Tear Recovery? What is a Bucket Handle Meniscus Tear? What is a Torn Medial Meniscus?